Our adult ewes are mostly a cross between two breeds: Border Cheviots and Perendale sheep, while our rams are purebred Perendales. This cross tolerates both harsh winters and warm, humid mid-Atlantic summers remarkably well. 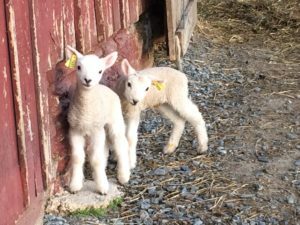 Our sheep were purchased from a flock in central Maryland that has been culled ruthlessly for several decades for excellent parasite resistance, good mothering ability, ease of lambing, few health problems (such as problem feet), and good temperament. Border Cheviots are quite common in North America; Perendales (originating as a Romney x Cheviot cross) are more unusual, having been developed in New Zealand as a dual-purpose (meat and wool) breed, with a 28-32 micron wool that attains a length of 5 inches, and a “handle” that makes their fleece appealing to handspinners. Most of our sheep are white in color, though we added two “natural” colored (black) ewe lambs and one “natural” ram lamb, all purebred Perendale, in the summer of 2017. Our adult sheep are shorn in late February or early March, and our lambs in June; fleeces are available on a “first come, first served” basis. Our sheep are shorn professionally by an award-winning shearer; you will find few if any “second cuts”. 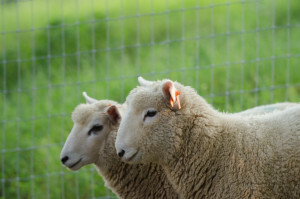 Our sheep are not coated, but the fleeces are still quite low in “vegetative material”, because the ewes are maintained on pasture or are fed grass (not alfalfa) hay. We sell our ram lambs (on a first-come, first-served basis) in the fall, just as our pasture is running out in a normal year. 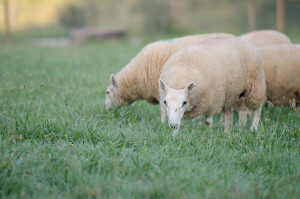 Excess ewe lambs (which are slower to reach market weight, and which will be sold either as breeding stock or for meat) over and above those we need to grow our flock or as replacement ewes will be sold in May-June. We do not anticipate having any excess ewe lambs before the spring of 2019. Ram lambs will weigh roughly 90 lb when they go to market; “hanging weight” (after slaughter, but including bones) is about half of that. We only sell half or whole lambs. If you don’t have room for a whole lamb (typ. 45-50 lb of meat) in your freezer, consider splitting a lamb with a friend or two. By buying a whole lamb, you get to control how each half is cut – lamb chops vs rack of lamb, lamb shanks vs ground lamb, butterflied legs vs whole or half legs, shoulder roasts vs chops or cubes for stew or shish kebabs, and so forth. We are happy to walk you through the process of deciding how to put together a cutting order! 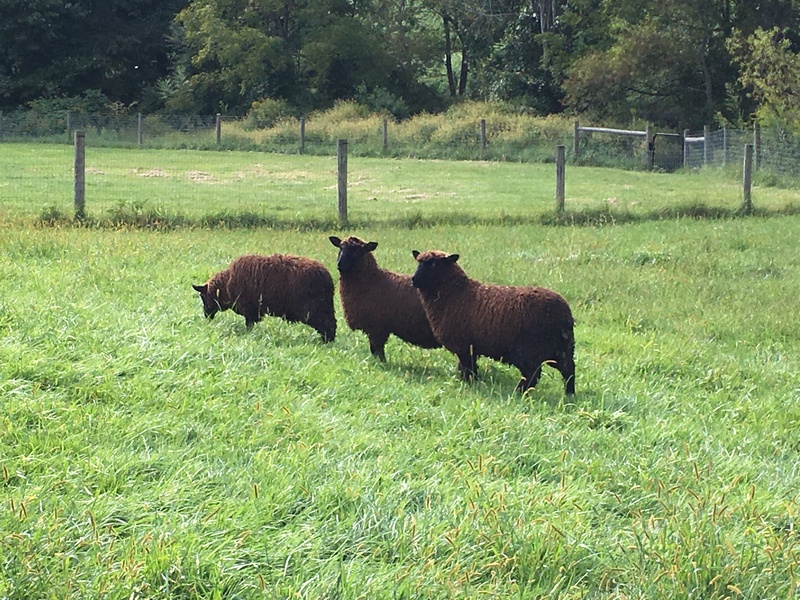 Our three latest (2017) additions: purebred Perendale ram lamb Hagrid, his full sister Heather, and his half-sister Cocoa.